Dr. Michelle Coupal (Bonnechere Algonquin First Nation) joined the Faculty of Education in July 2018 as a Canada Research Chair of Truth and Reconciliation Education. 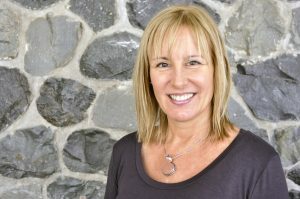 Since completing her PhD in English at Western in 2013, Dr. Coupal (Algonquin/French) has achieved national recognition by her peers as an emerging scholar of considerable talent in the fields of Indigenous literatures, particularly Indian residential school literature, and Indigenous pedagogies. Dr. Coupal was appointed by the Indigenous Literary Studies Association (ILSA) as President-Elect (2017-2018), and beginning in November 2018, she will serve as President of ILSA (2018-2019). Coupal regularly accepts invitations to organize and participate in national panel presentations, including the recent panel for the Association of Canadian College and University Teachers of English (ACCUTE) at Congress 2018 in Regina. Coupal’s contribution, “Irreconcilable Spaces: the Canlit Survey Course in the Indigenous Sharing and Learning Centre Round Room,” posed a challenge to CanLit’s hegemony, and suggested that CanLit is irreconcilably settled on Indigenous literary territories. Coupal also presented at a public event (co-sponsored by ILSA, ACCUTE, and CALCLAS) at Congress 2017, where she, alongside an illustrious panel of speakers including Dr. Warren Cariou (Métis), Dr. Kim Anderson (Cree/Métis), Sarah Henzi, and renowned Mushkego storyteller, Louis Bird (Swampy Cree), presented original work on ways to incorporate Indigenous positioning protocols into the classroom as a means to foster a healthy entry point into and dialogical relationship with the stories Indigenous writers tell. Coupal ultimately considered how positioning protocols can be mobilized to encourage activism and advocacy that extends beyond the classroom setting. This demonstrated public presence and scholarly recognition are closely tied to Coupal’s research productivity. Coupal’s book-in-progress, Teaching Trauma and Indian Residential School Literatures in Canada, was awarded a SSHRC Insight Development Grant (2016-2018), and will be published by Wilfrid Laurier University Press. Coupal’s ground breaking work embodies Indigenous methodological strategies that include a clear focus on both the theory and praxis of bringing difficult material into largely settler classroom settings. By combining Indigenous understandings with Western ones, Michelle makes her work accessible to the wide reading public so as to move forward the project of responding to the educative Calls to Action of the Truth and Reconciliation Commission of Canada (TRC). Coupal is co-editor (with Deanna Reder [Cree/Métis], Joanne Arnott [Métis], and Emalene A. Manuel [Secwepemc/Ktunaxa]) of a collection of the works of Secwepemc/Ktunaxa writer Vera Manuel, which is in press with the University of Manitoba’s First Voices First Texts series edited by Warren Cariou (Métis). The book is scheduled to be released in February 2019. Manuel’s largely unpublished work, with its focus on the history and legacies of residential schooling, marks a timely contribution to the present-day need for teachable material on the topic. Manuel was a healer committed to decolonizing theatre to purposely reveal her own therapeutic process through her family’s history of attending the schools. Coupal’s achievement in unearthing the archive of this work with Manuel’s sister, Emalene, and her coeditors is testament to her commitment to ethical editorial practices and to bringing Indian residential school literature into the hands of the Canadian reading public and the classroom. Coupal has published and submitted articles on teaching trauma and Indian residential school literature, truth and reconciliation education, pedagogies of reconciliation, the cultural work of teaching truth and reconciliation through narrative, and Indigenous positioning protocols in the classroom. Coupal delivered the opening keynote address on truth and reconciliation education for Indigenous Research week at Laurentian University in the fall of 2017. She has shown considerable leadership in Indigenizing the academy by co-organizing an international conference in 2016: MAAMWIZING: Indigeneity in the Academy. Coupal’s research contributions not only respond to the TRC’s Calls to Action, they actively work toward decolonizing pedagogies and decolonizing truth and reconciliation itself.